In need of some sweet, sweet serenading to soothe your soul? 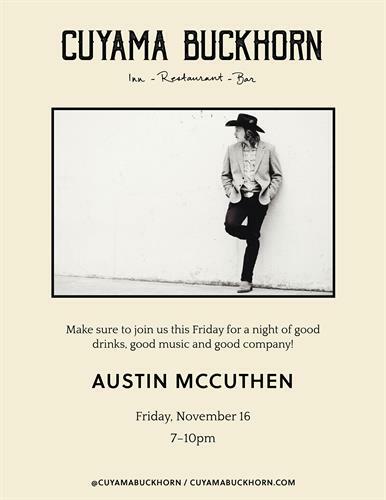 Swing through the Buckhorn to catch Austin McCutchen, playing at 7pm. Austin McCutchen was born in Joplin, Mo. He is a songwriter, and now lives in Los Angeles’s Echo Park neighborhood. His music is dusty, twangy, 70s country. He also plays in Grateful Shred.